Despite his Upper Midwest upbringing, Stobbe is one of the more polished players and top performers in the 2016 class, especially offensively. He has a quick and consistent righthanded swing that produces consistent hard pull line drive contact against high level pitching. Stobbe is athletically capable and comfortable playing all three infield positions. 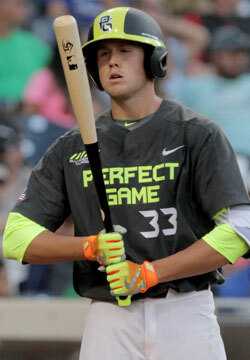 He compares well to the second overall pick in the 2015 MLB Draft, Alex Bregman, who played in the Classic in 2011.